You are here: Home / Health Insurance News / Trumpcare 12 Month PPO Plans Now Available! No Fines, No tax! Trumpcare 12 Month PPO Plans Now Available! No Fines, No tax! One of the major promises of the Trump administration was an overhaul to the existing ACA structure to make health insurance more affordable for the average American. Going hand in hand with this, effective August 3rd 2018, insurers were cleared to offer short term health plans for up to 12 months once again. And now, some insurers can begin offering renewal on those plans for up to 3 years. The decision from the Department of Health and Human Services was reached by making the analogy to COBRA – allowing workers to retain coverage after losing their job. Don’t Delay, Get Covered NOW! The new rules announced by the departments of Health and Human Services state policies no longer have to meet the Affordable Care Act’s protection and coverage requirements. Consumers can now purchase health insurance with-out, the required non-essential health benefits, such as maternity coverage and mental health care. These plans will not be available on the Affordable Care Act health care exchanges. Is a Texas Short Term Health Insurance Plan Right For Me? Q – Are you unhappy with a marketplace / Obamacare plan with high deductibles, high premiums and/or HMOs? 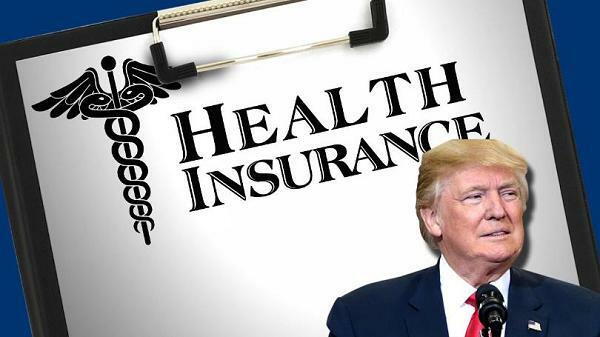 A – 12 month Trump Care Plans provide a wide array of deductible options, typically cost less than half of Obamacare and Includes a Nationwide PPO/ EPO providing access to 1.2 million physicians and 6500 hospitals from coast to coast. Largest network in the country! Q – Are you worried about the Obama tax/fine? A – Trump’s tax reform bill removed the individual mandate’s fines. Tax/fines go away as of January 1, 2019. The good news…NO FINES OR TAX! Q – Are you looking for an affordable 12 month plan with flexible deductible options and doctor visits? Find out if you qualify! A – Simply answer 6 medical Underwriting questions “NO” and have access to an affordable Texas short term health plan for 12 months with a nationwide PPO/ EPO. Conditions that would not allow you to have access to this plan include, but are not limited to; Liver disorder, kidney disorder, COPD, emphysema, diabetes, cancer, multiple sclerosis, heart disease, Crohn’s disease, etc. As more information becomes available and more plans begin to be offered, we’ll be at the forefront of the ever-evolving health insurance world. Contact us now to receive the latest plans and options from the health insurance experts at Custom Health Plans, and take advantage of our dedication to getting you the best health insurance in Texas at the best price.